We at India Arts Palace manufacture and supply premium quality Acrylic Necklace. 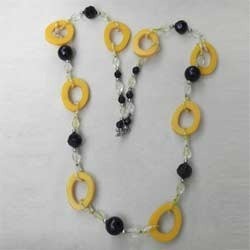 These acrylic beaded necklace is elegant and contemporary in look. We have many more designs, styles and variety. We can custom design jewelry also. We are Crafts International manufacture and supply premium quality Acrylic Necklace. we Have many more designs, styles and variety. We can custom design jewlery. Offering a striking blend of designs and colors, we have for our clients an exquisite range of acrylic fashion necklace. These sets are known for their designs and unmatched finish. 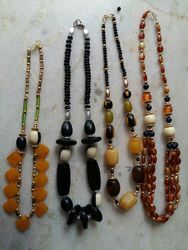 These funky necklace set are stunning in designs and can be customized as per the clients' requirements.